Join SEE-I and Special Guests each and every week for ROCKERS INTERNATIONAL!!! 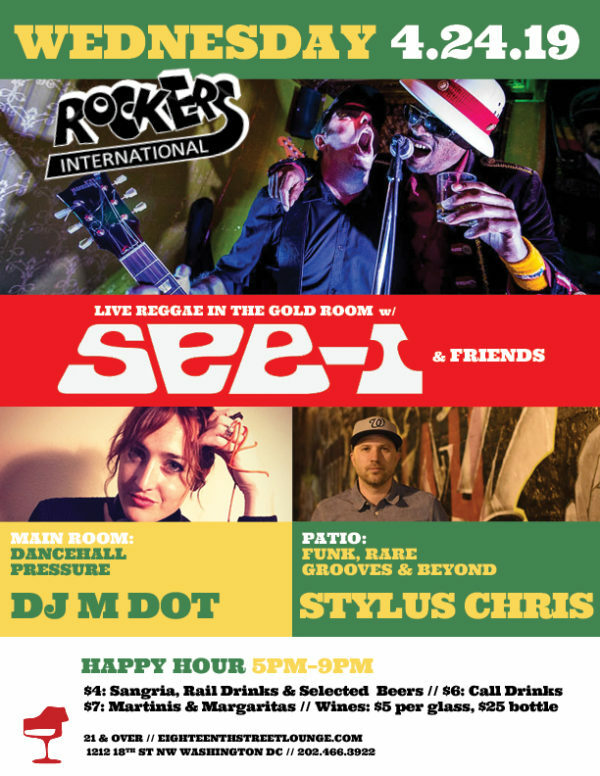 Reggae Wednesdays are unstoppable in DC, join us as See-I plays two full sets every Wednesday night. In the front room, DJ’s play the best in dancehall, dub, roots, reggae and more.